Where in CO is this? I don't recognize this range. 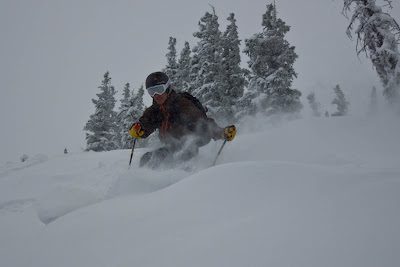 The Front Range has had a great early season. Chest and face shots two weeks in a row. Everyone at work thinks the white strips of death at the resorts couldn't possibly yeild such bounty. Which, of course, is true. I do not educate, just smile warmly and wink knowingly. Looks like you've eeked out a living as well. The Anthracites are just outside of Crested Butte. It's one of the standard early season spots around here. When the road closes it still gets skied a lot via sled access. 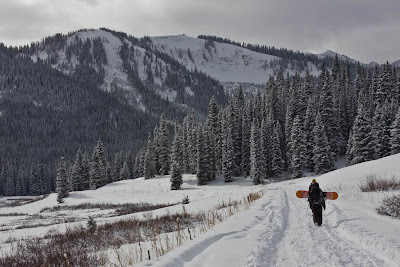 I wouldn't say that it has been a great early season here on the western slope, but certainly not bad.